DUBLIN – Sharing the spiritual experience of Ramadan fasting, an Irish Muslim leader has called on Muslims to extend their love to their neighbours during the holy month by inviting them to share iftars. “As more than one billion Muslims worldwide celebrate Ramadan by fasting and appreciating the blessings given to us,” Sheikh Muhammad Umar al-Qadri, founder of the Irish Muslim Peace and Integration Council (Impic), told The Irish Times. Ramadan, the holiest month in Islamic calendar, starts on Thursday, June 18. The Muslim leader urged Irish Muslims to use Ramadan to foster good ties with their neighbours by inviting them for Ramadan Iftar. He noted that such hints will reveal the true beautiful message of Islam. Al-Qadri added that Impic will hold its central community Iftar in the al-Mustafa Islamic Centre at Coolmine, Dublin, on June 26th, at which Jewish Holocaust survivor Tomi Reichental will be the guest of honour. Muslims make up 1.1 percent of the 4.5 million people in Ireland, but their ranks are swelling due to immigration, domestic births, and in some cases conversion. Two decades ago, they numbered about 4,000. A 2011 census recorded 49,204 Muslims, including nearly 12,000 school-aged children. The numbers represent a 51 percent increase since 2006. 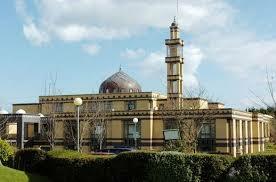 The public acceptance has also helped Muslims to easily integrate into Irish society. Around the globe, Muslims observe Ramadan with a set of traditional rituals including family gathering at iftar, religious lessons, special evening prayer and helping the poor.